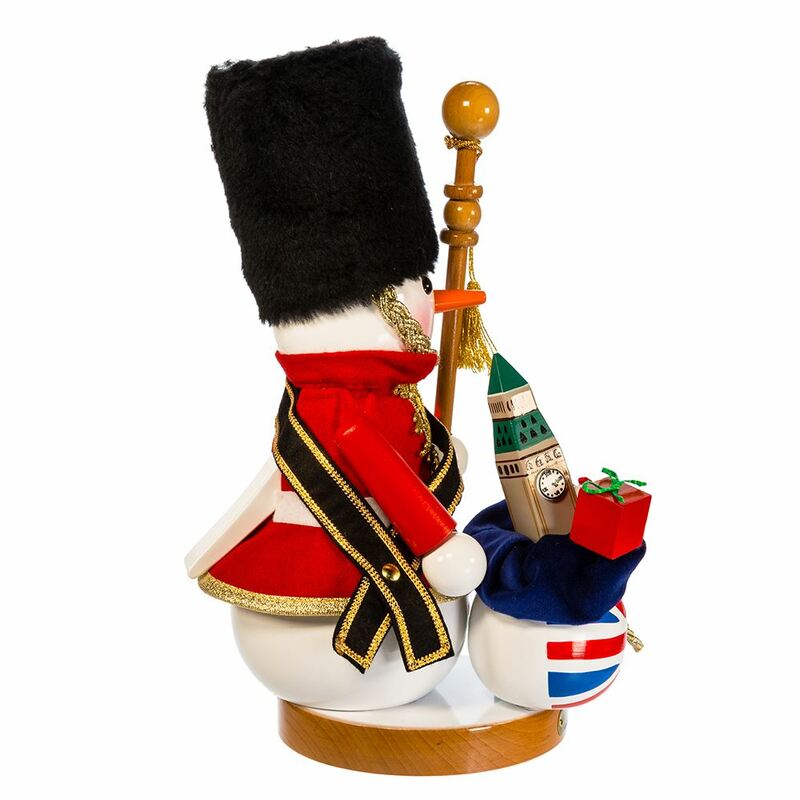 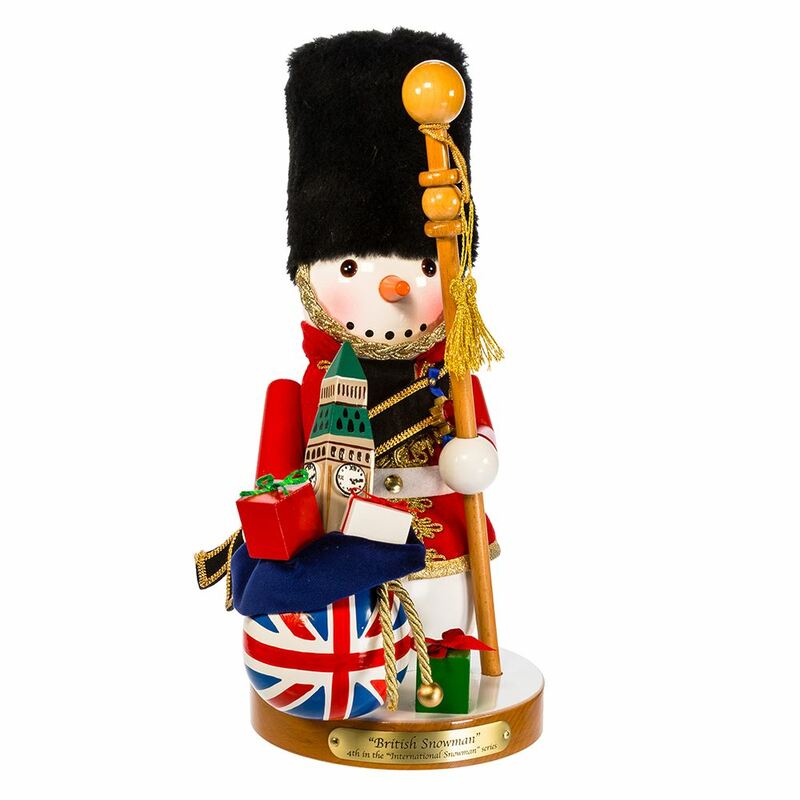 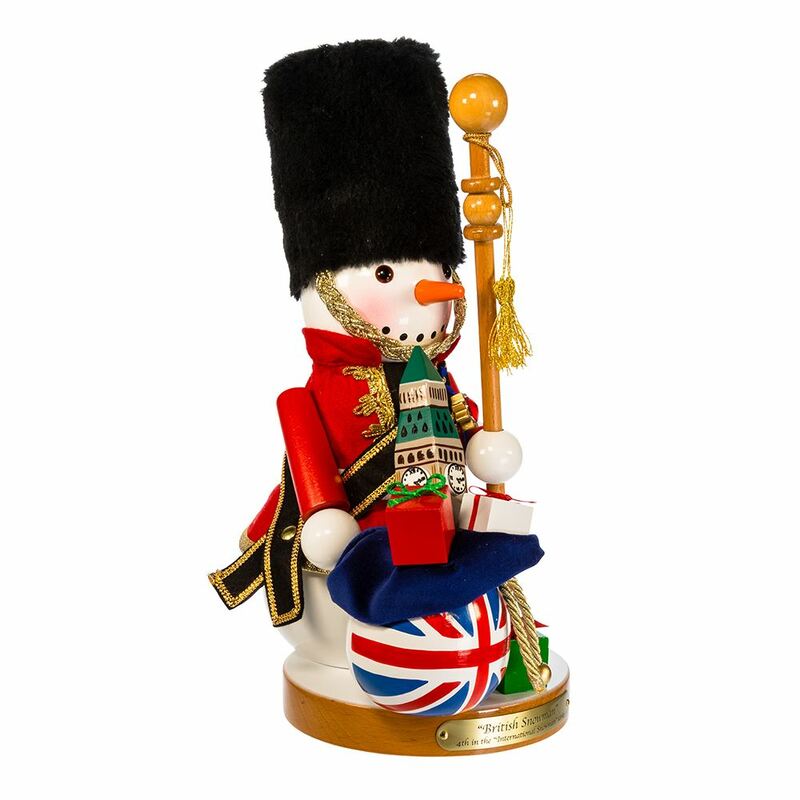 Steinbach Great Britain Snowman Nutcracker is a beautiful and festive addition to the Limited Edition Snowman Series. 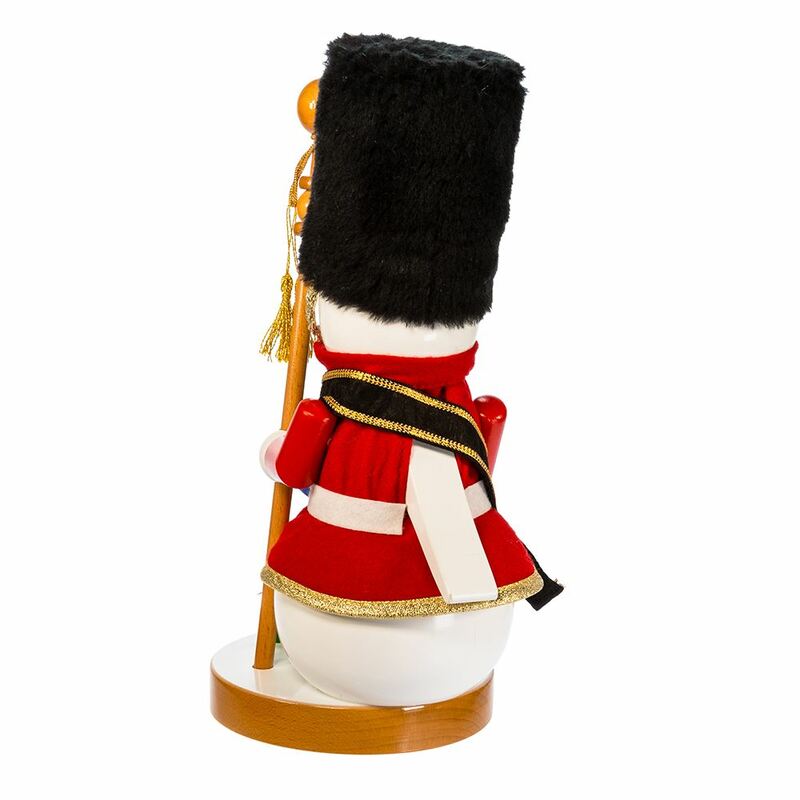 This adorable snowman is dressed in a red coat and tall black hat like a British Royal Guard. 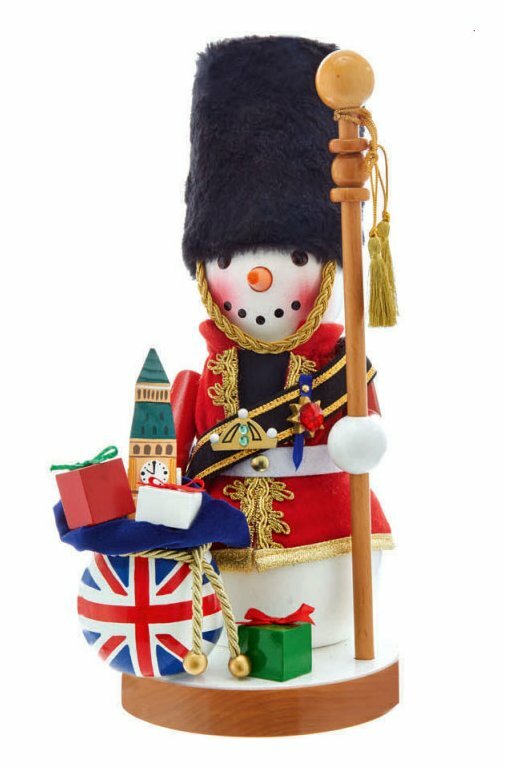 He is accompanied with a sack full of Britain, like the flag and Big Ben. 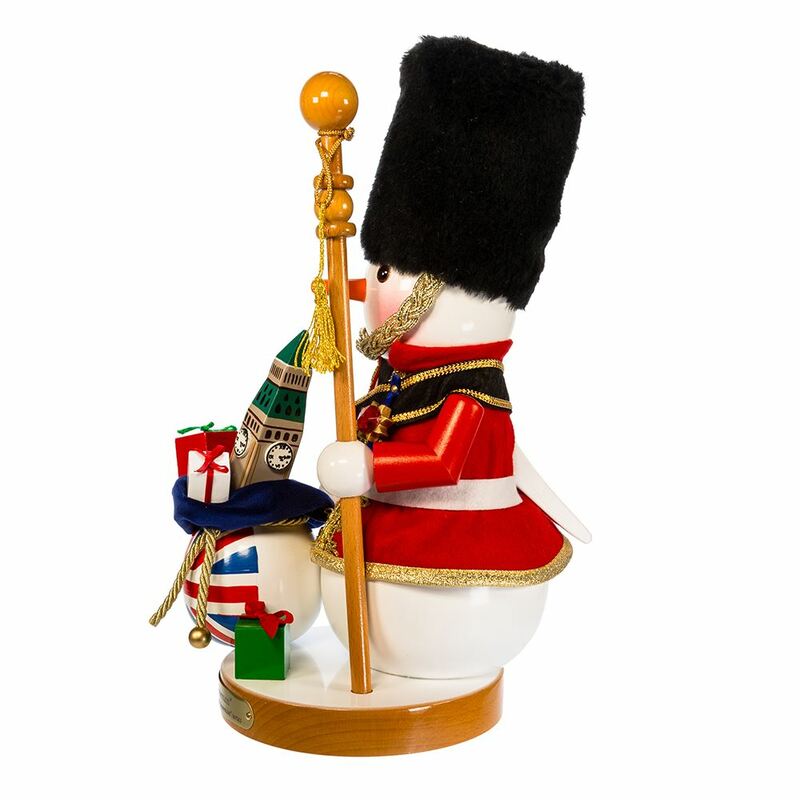 Like all Steinbach creations, this piece is hand crafted in Germany with the finest care and attention to detail.